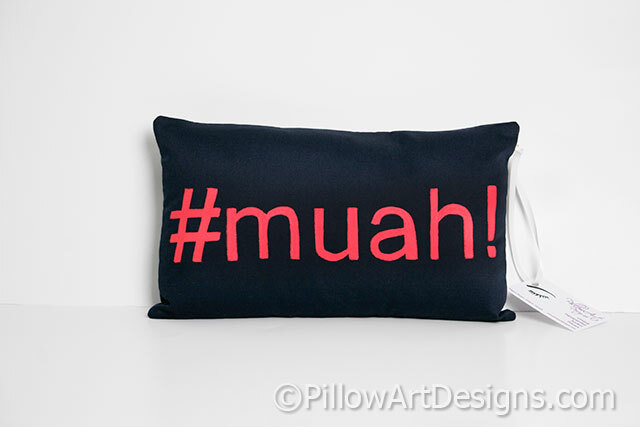 Mini pillow in navy blue and red, features social media hashtag symbol with the word 'muah' painted in deep red. 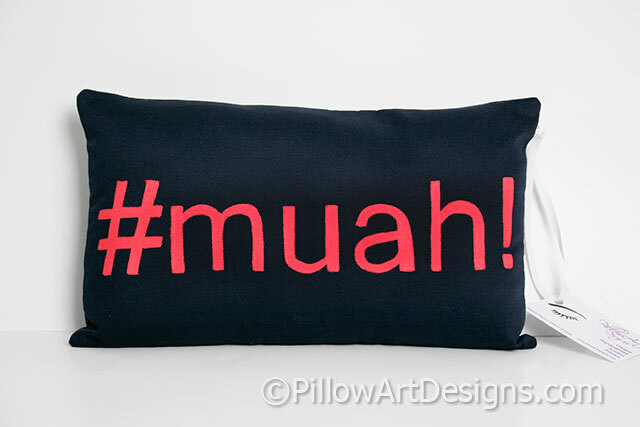 Pillow measures 12 inches X 8 inches. 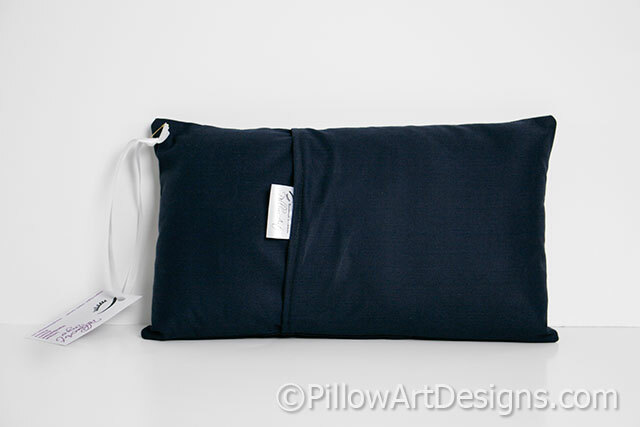 Comes fully stuffed with hi loft polyester fiberfill, no need for an insert. Outer fabric is dark navy blue. Cover is fully lined with white cotton polyester, giving it a nice weight. For the very best results, spot clean or hand wash in cold to keep the blue dark and true.